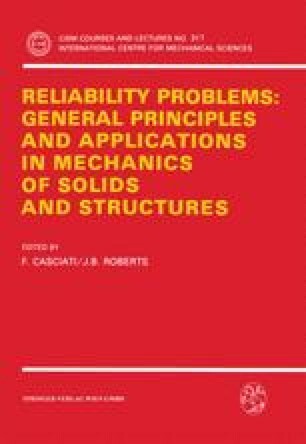 This paper represents a brief review of the concepts of the reliability of structures. Some closed form solutions, as well as approximate methods are elucidated. Different attempts to describe probabilistically the so-called “safety factor” are described and some instructive counter-examples are given. High sensitivity exhibited by the reliability of the structure is documented in a model structure. The same structure is also analyzed on the basis of non-probabilistic, convex modelling. The latter is complementary to the probabilistic methods when only limited information is available on uncertain variables and functions.